Moving to St. George is a wonderful idea for those of all backgrounds, but especially for those who love living an active lifestyle! St. George is known for being sunny almost 300 days out of the year, making it the perfect place to get outside and do some hiking, biking, canyoneering and more! 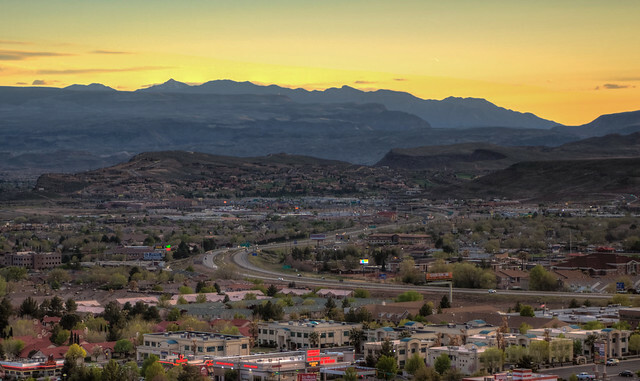 St. George is one of the most active cities in Utah, and it really is no surprise. With Major State and National parks all within 3 hours of here, it makes it hard to not want to get out and explore! This is yet another reason the City is booming and growing in population. Although weather here in the summer can be brutal, all you need to do is take a quick drive to one of the Parks like Snow Canyon, Zion or Quail and temperature drops. Not only will the temperature decrease, but there is a significant amount of running water at these parks for visitors to enjoy swimming in. That helps majorly in beating the heat! No worries though, even with the summer months being brutal, the fall and springs months make up for it each year with perfect temperatures! Enjoy all kinds of outdoor activites during these seasons without overheating or freezing, how much better can it get? Here in St. George you will find many bicyclists, runners, swimmers, rock climbers and more. The majority of the residents here seem to be very active in one form or another. Like said before though, it’s tough not to be when you’re constantly surrounded by some of the most beautiful landscapes in Utah. This is only one of the many reasons people choose to relocate to St. George. This city is filled with all kinds of different people and lifestyles, there is surely something here for everyone to enjoy.